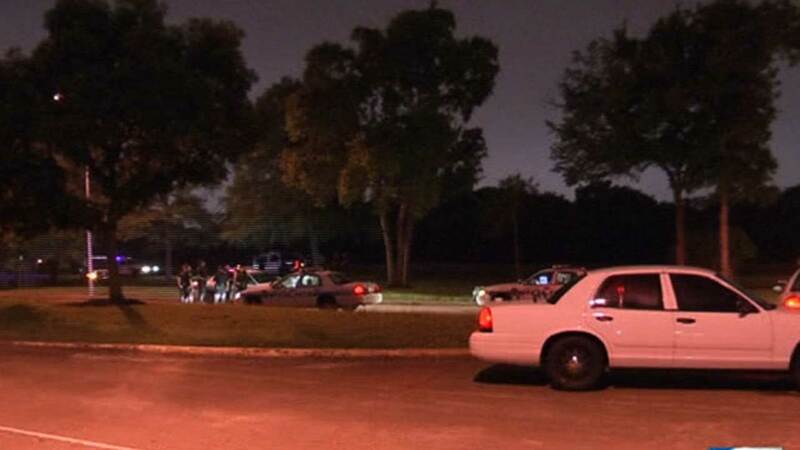 HOUSTON (KTRK) -- Houston police chased a group of armed robbers into a storm drain in southwest Houston overnight. Officers were responding to a report of a robbery at a bus stop when they spotted the suspects driving down Fondren. Three suspects, one of them armed with a shotgun, jumped out of the vehicle and ran into Brays Bayou. The robbers tried to hide inside a storm drain but officers opened a man hole cover and called them out. All three are in custody now. There was another overnight chase, the second one on the north side of town. Officers say they were trying to pull a driver over for a traffic violation when he took off. At one point, a man and woman got out of the vehicle and were arrested. The chase continued onto the North Freeway, where police deployed spike strips and took out the car's tires. The driver eventually stopped, and ran away but was caught a short time later. A third passenger was also arrested. Police say the suspects threw drugs out of the vehicle.